Visual-Eyes Optical has fitted families, kids and teens for over 30 years at our location at 98th and Dodge. Come in and we'll help find the frames that are uniquely you. 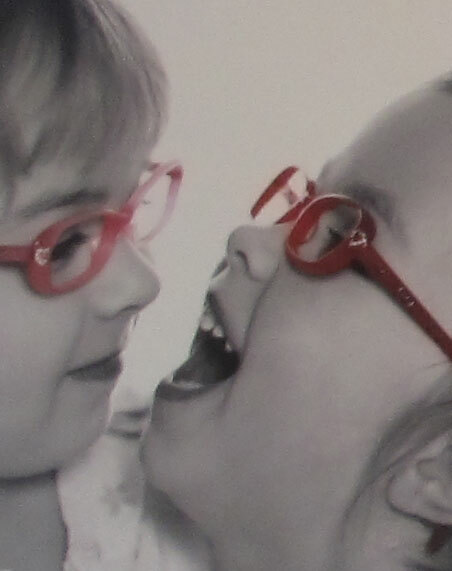 We offer high quality frames for all age groups but we specialize in children's eyeware. Visual-Eyes is a kid friendly business and we have the styles they love with a wide variety of colors and specialty frames. Our shop is conveniently located in the same building as Pediatric Ophthalmology Associates. We have over 30 years of experience fitting children and teens with the eyewear they need. Our wide variety of brands cover the latest in prescription frames to swimming and sports eyewear to the latest sunglasses. Not only do we have the selection you need to find the perfect frames, we back up our services with lens and frame warranties.